An online buzzer button is an excellent option for the safety and security measures of any business. An online buzzer button is a program that is installed on your office computers. Our online buzzer button, CRS Notify, allows you to request assistance quickly and discreetly from your colleagues and other responders. Many business owners are unsure about workplace safety and online buzzer buttons. Each workplace environment has different and unique threats in which owners/management are in search of safety solutions. Many people are looking for a way to increase safety and security. It is extremely important that a response plan is in place in the event an intruder has made entry into the facility. Incident response is the most important part of workplace safety and security. The idea of an online buzzer button as a tool that can be used in conjunction with incident response procedures can substantially reduce injury is increasing. There are so many threats occurring across all industries not to have a direct link to first responders. However, with so many technology-based products, what would be the best bang for the buck? Most threats start at the entrance of a facility, and that is where the immediate response should start as well. Many people are unsure of how an online buzzer button works since all programs vary. The technologically-advanced desktop online buzzer button systems from CRS helps lessen the chance of victimization. The CRS Notify program cuts out the middleman during an emergency and immediately alerts responders when seconds matter the most. What are the Pros of Having Online Buzzer Button? Computer-based online buzzer buttons are discreet and easy to operate. An online buzzer button system from CRS Notify has notifications that confirm that the alert went out to responders, so you are not left wondering. 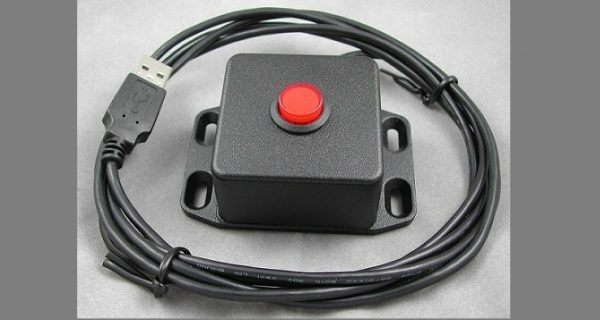 These online buzzer button systems are easy to install and are not very expensive. Computer-based online buzzer buttons are much more reliable than traditional buzzer buttons. Furthermore, responders are notified within seconds that there is a crisis in your location. Alert notifications are sent out via, text, email, phone call, computer, E911 and sometimes phone apps. Not all mass notification online buzzer button systems offer every feature. However, most programs have a collection of these functions that they provide with their system. There is a growing number of online buzzer buttons on the market to research before making a decision. Having an online buzzer button that fits your security needs gives your employees a sense of security. That feeling of safety increases productivity in the workplace. I have had several companies tell me that they feel better just knowing the online buzzer button is available should they ever need it during a crisis. Though, they hope they never have to use the online buzzer button. How do you know an Online Buzzer Button is a Right Choice for Your Facility? Nurse’s stations, HR offices, and receptionist’s desks are some of the many places where workplace violence occurs. Any employee, no matter their position in the company, can become a victim of violence. Online buzzer buttons from CRS Notify can offer these employees a better sense of security. The online buzzer button systems can allow staff to call for help quickly and discreetly without drawing attention and putting themselves in danger. The computer-based online buzzer button also makes it easier to contact the authorities when a traditional 911 phone call might not be possible. Computer-based online buzzer buttons from CRS Notify sends out mass notifications to employees and responders. This rapid alert cuts warning times down to seconds instead of minutes. Furthermore, this type of notification strengthens the response time of responders and allows employees time to react efficiently to the crisis. Once authorities respond to the alert, there is a greater chance of catching the assailant. Through multiple communication channels, the crisis information is directed to staff members. Having this valuable information in a timely fashion can save lives. Online buzzer buttons from CRS Notify help to protect employees from life-threatening incidents. Moreover, the rapid notification gives authorities needed information to respond to the crisis. With the click of a computer mouse or push of a button on a hardware device allows staff to send an alert without alerting the criminal. In conclusion, a dedicated online buzzer button on your network adds a valuable layer of security to your workplace. An online buzzer button system quickly and silently asks for aid and offer employees a better sense of security. Technology-based online buzzer button systems are a solution you can count on in a crisis. Still Unsure About an Online Buzzer Button for Your Security Needs?